It's been a while since I've posted here. I've taken a break from making and decorating cookies. These are for my oldest daughter's American Symbols and Landmarks assembly at her elementary school. She's in second grade and giving a presentation to class parents on the bald eagle. 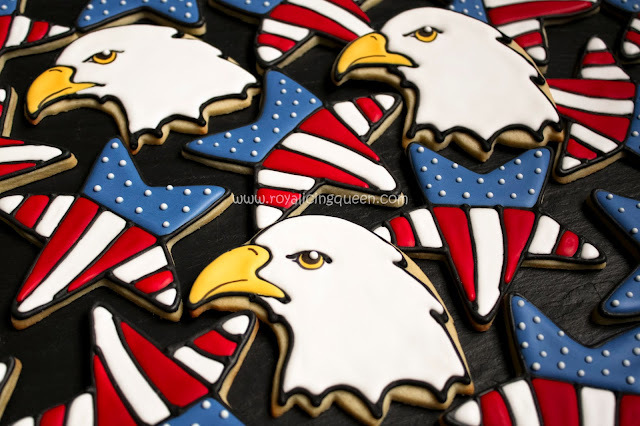 Her teacher asked for there to be a cookie table for the kids and parents to enjoy after the presentations were finished and I knew of this bald eagle cookie cutter so I couldn't resist getting into the spirit of things.